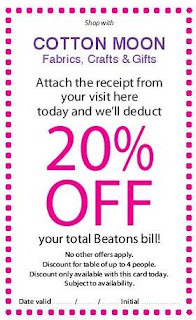 Beatons Blog : #beatonstearooms: like a 20% voucher for visiting the dentist? 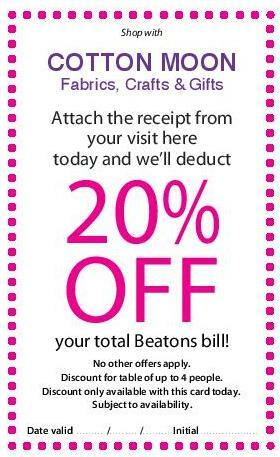 #beatonstearooms: like a 20% voucher for visiting the dentist? Perhaps it's time you made a hair or dental appointment? If your hairdresser or dentist is part of our 'Friendly 20s' promotion they'll have 50 Beatons 20% off vouchers to give to lucky customers when they've had their appointment! Why do we do it? Well, one of our group's practical values is that we believe in '... life lived offline and live with as many senses as possible involved - so we involve ourselves with local community life' That includes supporting our local business community too. Our 'Friendly 20'promotions first started in Tisbury way back in 2012. Our Founder, Patrick, wanted to find ways to encourage local Tisburians to 'shop local' when it came to those regular professional services we all need: hair, teeth, garage, solicitors and so forth. It was a huge success for local businesses, customers and us as well! We've definitely made going to the dentist a little more of a restorative experience with the promise of a treat at Beatons afterwards. We've now rolled out 'Friendly 20s' across the group. Ask your local Beatons who are included in their Friendly 20s scheme. Beatons Blandford have notched up a first and novel addition to the idea by having a 'Friendly Twenty' running at a school. Clayesmore School were delighted to participate and gave out 'Friendly Twenty' vouchers to prospective parents visiting the school for a tour.